Summary: A very varied walk – through bushland, along the beach, up a steep hill and finally through one of Newcastle’s best neighbourhoods. Best done as a one way walk so team up with someone to have a car at each end. Not suitable for wheels, except for the first kilometre which is on a boardwalk. 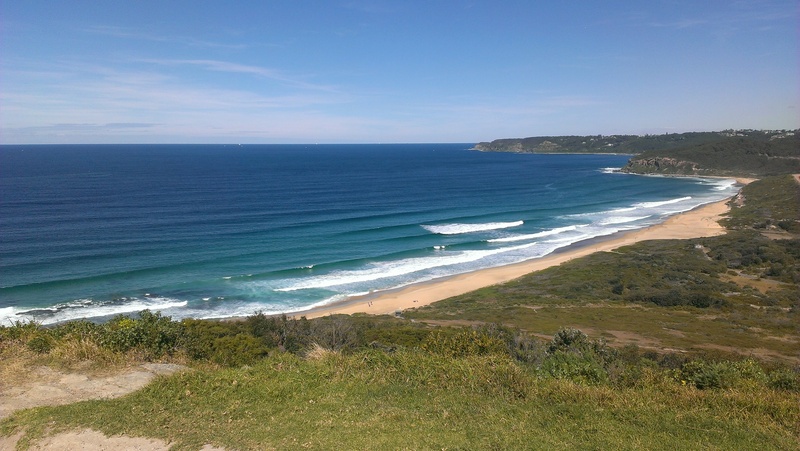 This walk starts in the Glenrock State Conservation area at the Yuelarbah car park, on Burwood road, Kahibah and ends at Merewether surf-house by Merewether baths. The Yulerbah track is clearly marked and goes through some wonderful natural bushland. The initial part is on a raised boardwalk and provides an excellent perspective on the forest. There are a couple of waterfalls to be crossed via bridges – it is recommended to stay on the path here and not venture onto the rocks. When we walked here on the week-end a young boy had fallen over the cliff and, although he suffered relatively minor injuries, it could easily have been a lot worse and it required a major rescue operation. 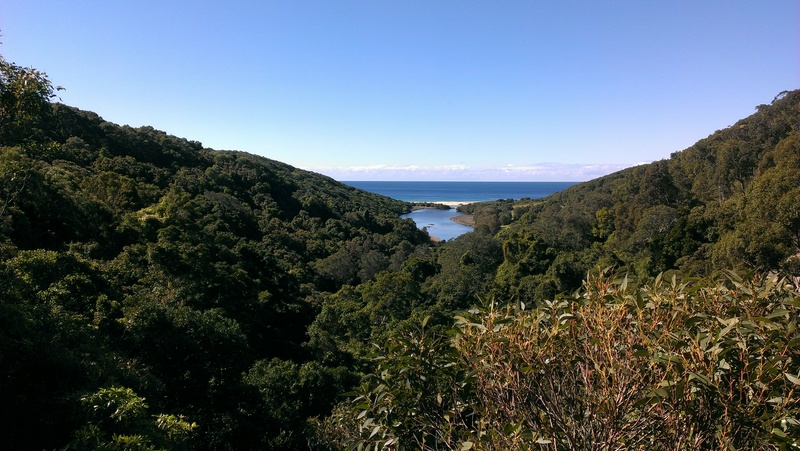 Halfway through the bush there is a built-up lookout where you can admire the Glenrock lagoon and the beach beyond. Once you get to the beach, turn left and walk along the surf. Depending on tide there could be fairly narrow stretches of sand and you may even get wet feet. Rusty evidence of former coal mining and a railway can be seen along the beach. At low tide you can simply continue along the beach all the way to Merewether baths. However, at high tide, which is what we experienced, you will have to take the Hickson track up the hill on your left after about 1 km walk on the beach. This is a fairly steep climb with a 94m elevation gain. Once you get to the top you are rewarded with fantastic views of the beaches and the coastline. This is a designated hang-gliding spot and it is easy to see why!